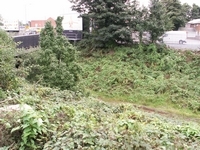 North Walsall station opened in 1872 on the Wolverhampton and Walsall Railway's Wolverhampton to Walsall line and was subsequently incorporated by the Midland Railway in 1876. Built to serve the Walsall to Wolverhampton route via North Walsall Junction, 6 years after opening the station also was linked to the Midland's line from Water Orton via a stretch of line enabling the bypassing of Walsall. 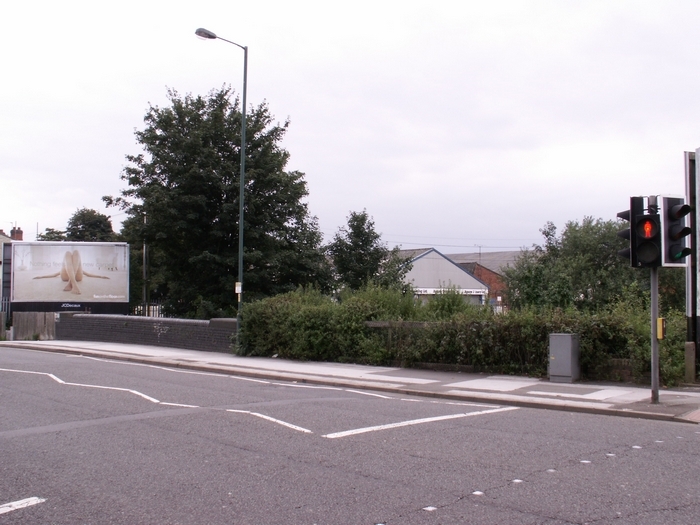 Above we see the site of North Walsall on 26/05/51 which didn't yield much evidence of the former station other than the entrance pathway on the left hand side (photo: Milepost). Through the bridge can be seen North Walsall Junction, and the box controlling it, with the Water Orton branch to the left and the Walsall branch to the right. 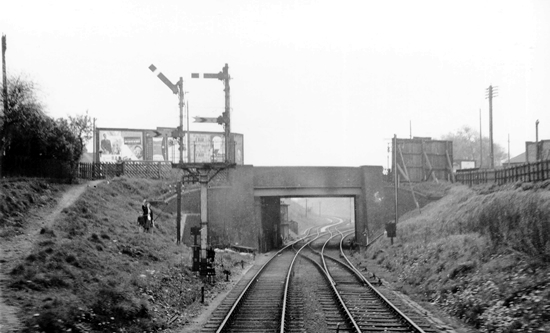 Above-left we are on Bloxwich Road looking at the bridge over the track as seen in the 1951 photographs with the entrance to the platforms to the left and right of the walling. 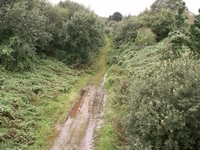 Above-right we are looking directly down from Bloxwich Lane bridge; the trackbed is clearly discernible as the line heads off towards Bentley and on to Wolverhampton. 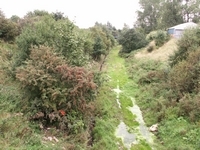 Above-left due to the quagmire that the trackbed has become it was not possible to replicate the 1951 angle so here we are looking directly down at the site with Bloxwich Road bridge to the left. Above-right we are seeing the trackbed heading off towards North Walsall Junction which lay just around the curve ahead.